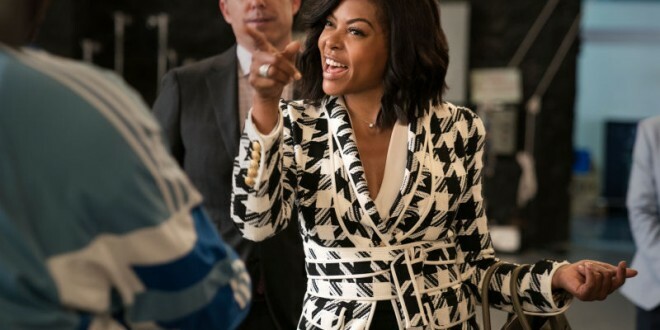 Dimpled, dazzling Taraji P. Henson registered as a dynamic, minimally heralded performer on my inventory of “actors to track” when she played detective “Joss Carter” on television’s “Person of Interest” (2011-2016, Joss was eliminated in the third season); her career, stunningly escalated in 2016’s “Hidden Figures” with her brilliant depiction of NASA mathematician, Katherine Johnson (1918-), in director Adam Shankman’s “What Men Want” (Me-too response to 2002’s “What Women Want” starring Mel Gibson and Helen Hunt) Henson captivates, controls every frenetic, at times hilarious scene; “Ali Davis” (Henson) a sports agent, in a male-monopolized profession, denied a well-deserved promotion, goes bonkers, gets in the boxing ring with her father (sensitive, Richard Roundtree) seduces bartender, “Will” (so appropriately cast, Aldis Hodge), drinks a weird drug-enhanced tea, cracks her head on a dance floor, awakens with wizardly wonderment, hearing what men are thinking, not verbalizing. Imagined predictability ensues, Ali gets what she wants, suffers the consequences of her outrageous ambition, has an epiphany, her prophetic powers, gone, replaced with insight and empathy. Throughout Henson’s bulldozing, ball busting, cheeky characterization lies the gifted soul of a born trouper; at forty-eight, her wattage has yet to reach its immeasurable intensity.